LoCoFloBlog: Market Bouquets for Your Retail Store! Market Bouquets for Your Retail Store! Interested in offering fresh, seasonal, and local bouquets to your customers? 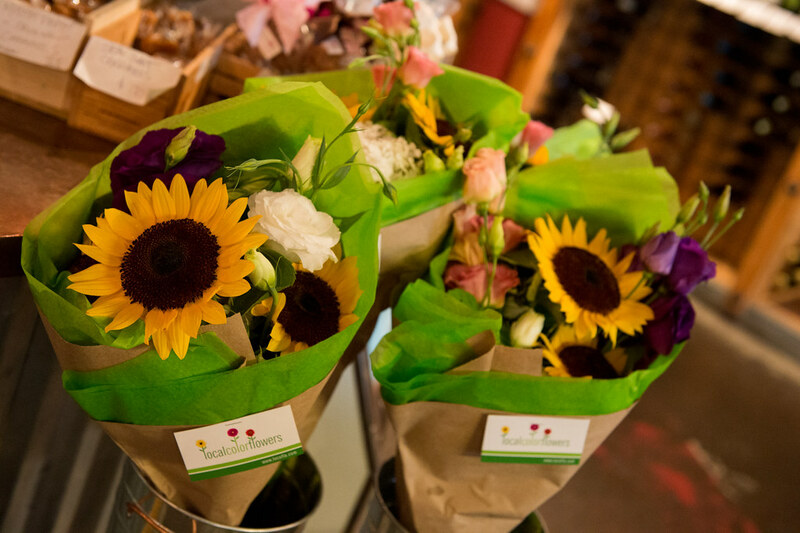 Local Color Flowers makes it easy with our beautiful Market Bouquets, available for retail locations. Local Color Flower’s Market Bouquets consist of a mix of seasonal flowers and foliage, artfully arranged and packaged for retail. Each Market Bouquet comes presented in paper and tissue for beautiful gifting and easy transportation. All Market Bouquets are made from 100% locally grown flowers and come with an elegant tag explaining where the flowers were grown and cared for. Each week’s Market Bouquets will be unique and slightly different reflecting the season’s availability. Market Bouquets can be picked up weekly at Local Color Flower’s studio at 3100 Brentwood Avenue, Baltimore, MD 21218, or delivered to your establishment. Market Bouquets are delivered in water, and look stunning displayed in our French Flower Cans, (available for purchase or rental) or your own display buckets. 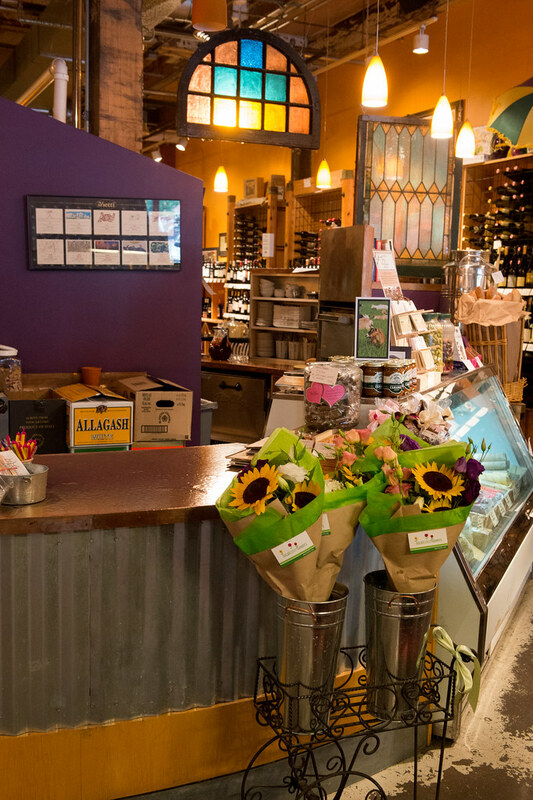 Chesapeake Wine Company is currently selling Market Bouquets and it’s a great fit with their focus on local products. They have a great display near the cash register making it easy for folks to grab a bouquet at check out. To learn more about Local Color Flower’s Market Bouquets, gives us a call at 410-262-1494 or email me at ellen@locoflo.com. Special thanks to Jennifer McMenamin Photography for these awesome photos!